Perfect location and the appartement is really nice! The next time i would go to the same place for sure. Great, simple service with little fuss. This modern apartment in Barcelona is the ideal place to stay for large families and/or groups. 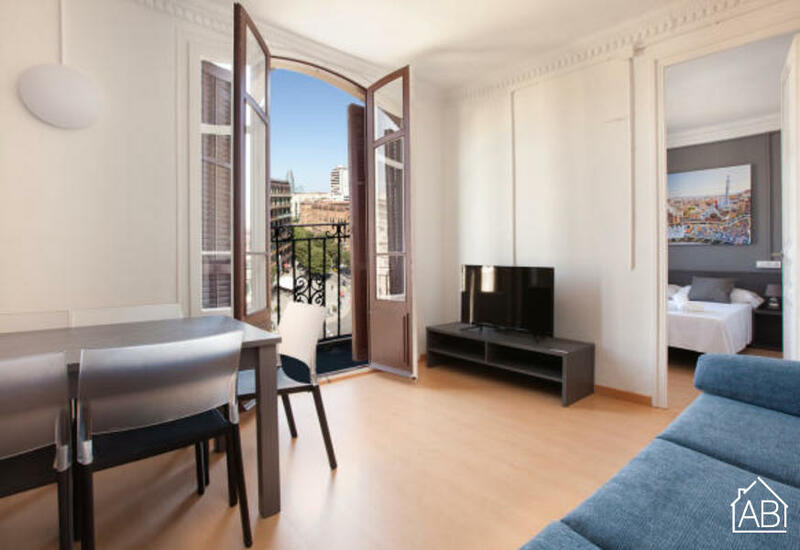 It is located in a central area within walking distance to some of Barcelona´s top attractions, including the Sagrada Família, the Torre Agbar and the Ciutadella Park. Nearby you will also find countless bars, restaurants and cafés for your convenience and plenty of public transport links. This comfortable apartment has three bedrooms, 2 bathrooms, and can accommodate up to six people. The spacious living room boasts cozy seating and a TV, which leads to a fully equipped kitchen complete with everything you need to prepare your own home-cooked meals. You can even stay connected to friends and family at home with this apartment´s WiFi connection. Complete with heating and air conditioning, this is the perfect Barcelona apartment at any time of year.